Mental Health is important to all, and so is having an interesting and varied diet. This week, we wrap them together by exploring Mental Health First Aid and the ultimate in comfort food – a Feast On Foot tour around Adelaide. Joan Oldfield runs Mental Health First Aid courses in the South East of South Australia and throughout Adelaide. This week she compares this emerging field of competency with general first aid. That’s Joan, top left, feeding a calf on her property at Keith, South Australia. Think about it, would you know how to respond if someone close to you displayed symptoms of a mental health condition? 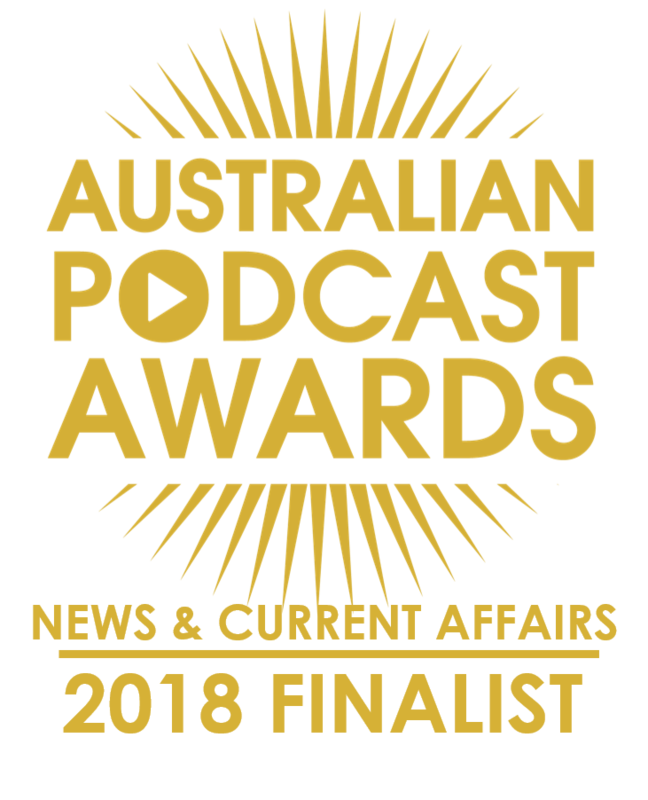 Then Steve, Susan and Caitlin Hillson go feasting on foot, traipsing around Adelaide with an appetite and a sound recorder to share some of the experience with you. Sorry, it is only some, an entree if you like. There was so much crammed into our few hours together it was very difficult deciding what to leave in and leave out. 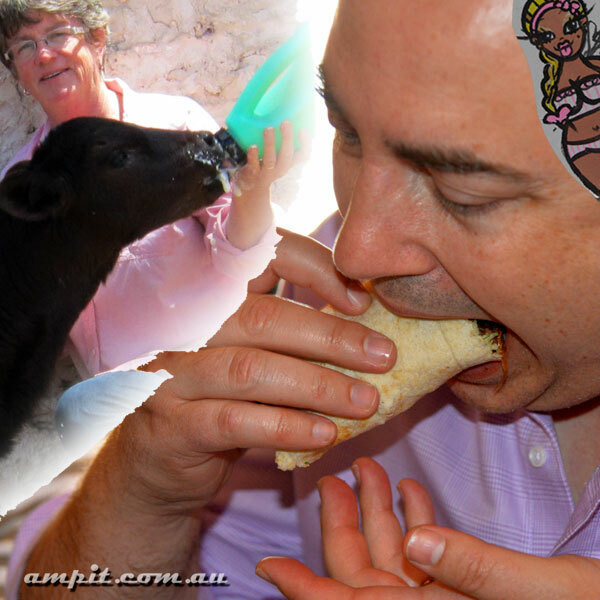 Thank you to Graham from Ampit.com.au for photos of the day, like the one of Steve Davis chowing down on a soft taco, mid tour. More to come on Facebook through the week. In the experience, Caitlin shares some interesting insights about us Adelaideans! Colin discovers that SAFM will not pass go or collect $200 from the new Adelaide Monopoly board. After last week’s dismal performance, Brett and Steve try to match my headline savvy in Is It News? We have a wine with a difference. One that survived terrible bushfires in the mid North earlier this year. Adelaide gets serenaded in song. And we serenade Brett Molly Monten, who shares his final farewells with us after 63 episodes at the helm. 00:00:22 Theme Theme and introduction. Our original theme song in full is here, Adelaidey-hoo. 00:02:35 South Australian Drink Of The Week Bill Fradd’s Beetaloo Fortified Wine. Tasting notes. Steve: Annabel Crabb. Thank you. Also, great memories from the Don Dunstan cookbook and a discussion with Matt and Dave regarding classics like grated carrot and orange jelly salad. Joan Oldfield runs Mental Health First Aid courses in Adelaide and throughout the regional areas of South Australia. She is based at Keith and keeps details of upcoming courses on the Joan Oldfield Facebook Page. She introduces us to the concept of MHFA tonight. Steve Davis and Susan Lily take part in Feast On Foot, a food, art and history tour of Adelaide run by Caitlin Hillson. We hear from Caitlin and a few of the food vendors we met, namely from Munooshi Cafe, Steve Ter Horst Chocolate and BTS Cafe. Enjoy. Steve: New scam. Aust govt giving money. Brown paper bag.